Hiring the right patent attorneys is essential to protect the intellectual property of your business. Although both provisional and non-provisional patent applications can be created by individuals, the professional touch of a patent attorney is still important. Without completely understanding an invention, writing a patent application consisting of drawings, description and technical jargon is very challenging. Patent attorneys have the required skills to compose technically flawless patent applications that fully satisfy the various patent rules, statutes and laws. Moreover, patent attorneys speed up the patenting process, preventing it from being stolen. However, finding truly competent patent attorneys is a difficult endeavor. To help you find the right patent attorney, we have provided some helpful guidelines in this post. If you want to know how to patent an idea, keep reading to simplify the process. If you are looking to find a business attorney for patent purposes, you should probably familiarize yourself with the difference between patent attorneys vs patent agents. In the United States, patent attorneys and agents are essentially granted the same rights to practice and represent clients before the USPTO, or the United States Patent and Trademark Office. Both of these patent professionals can prepare, file and prosecute patent applications and provide patentability opinions. However, there is one capability possessed by patent lawyers that patent agents do not. Patent agents are not legally allowed to provide a validity opinion of an person’s patent when they are seeking litigation, not reexamination. Unless you plan to seek opinions for litigation, your business can benefit from both a patent attorney or a patent agent. You must consider your specific requirements before determining which patent attorney to hire. Some patent attorneys only deal with patents whereas others can offer advice on several other legal issues like copyright, contract, media and entertainment for MBA majors in need of more comprehensive services. If your business specializes in creating innovative products or solutions, you should find a patent lawyer who specializes in patent and copyright. On the contrary, businesses that sell products online or publish books need patent attorneys with expertise in information technology and the First Amendment. Evaluating your particular patenting requirements will help you select patent attorneys according to their skills. 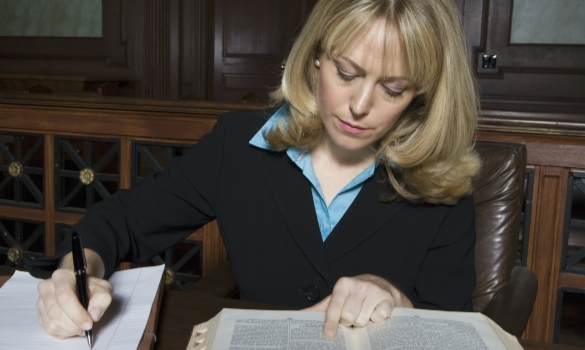 Researching the competition is another step towards finding eligible patent attorneys. The US Patent Office website is a good resource of finding market information and number of competitors. The intensity of competition narrows down your search. Research can also reveal the level of difficulty involved with securing your product’s identity. If the competition is high, you will have to engage a patent attorney who has excellent credentials and experience in the relevant field. But, you may have to pay a higher fees to obtain the services of such a qualified patent attorney. Just as you should conduct computer market research for a business idea or product, conducting thorough research enables you to hire a patent attorney with appropriate qualifications. Ask around among family, friends, colleagues and anyone else you know to see if they can recommend a patent attorney for you. You may not have friends and family that are inventors or business owners familiar with the patent process. However, you may be surprised at how far your personal network can get you. You may be lucky to find out that someone you know knows someone else that is a patent lawyer. Or, you may find that your colleagues have worked with certain patent attorneys in the past and have lots of good things to say about them. You can also research patents in a field similar to your own, then ask the owners of those patents for a referral. Regardless, referrals are one of the best ways to easily find a patent attorney you can trust to get the job done. Qualified patent attorneys simplify patent procedures. Patent attorneys are capable of explaining the uses, features and advantages of inventions. They have both technical and legal knowledge. That’s why, patent attorneys are allowed to take the patent bar exam only after they have obtained engineering or technical degrees. Undoubtedly, a well qualified patent attorney can write quality patent applications with accuracy. If a patent attorney is familiar with your field of innovation, he or she will quickly understand the invention’s characteristics. A thorough background check will reveal the qualifications of a patent attorney. The total costs of a patent vary from one patent attorney to another. Therefore, you should compare their services with various prices before selecting a patent attorney. But, you should not base your decision entirely on cost. Evaluate their experience, qualification and expertise too. In addition, ask for the total cost of completing patent application and billing procedure. Plus, some patent attorneys include extra charges like xeroxing, filing fees and legal assistant payments in the final invoice. Since the patent procedure usually takes up to 18 months, hourly billing can increase the total cost. To avoid a surprise, you should consider patent attorneys who charge a flat fee with exact costs upfront. Above all, you should consider the expertise and experience of the patent attorneys, just like a hiring manager would. After all, you are now the hiring manager for finding a patent attorney you can trust. It takes years of training under an experienced patent attorney and years of individual practice to master writing great patent applications. The number of patents that a patent attorney has filed in your field determines his or her expertise. A patent attorney with both experience and expertise can protect your best interests. Patent attorneys have the skills to write clear and concise patent applications to defend your intellectual property before you ever need someone with a CPA certification to manage the profits from your invention. However, to choose the right patent attorney, you must consider several factors like qualifications, price, experience and specific patent requirements.